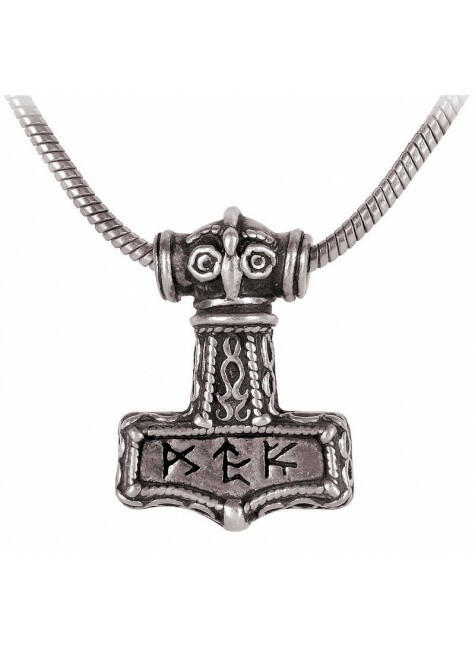 Thor's legendary hammer rendered in fine pewter with a nickel-free silver tone chain. Solid and heavy - truly a piece fit for a God. Item Number: AG-P338 | Approximate Size (Inches): 1.25 wide x 0.50 deep x 1.65 high | Approximate Shipping Weight: 0.25 lbs. Wolves' heads adorn the richly decorated Viking 'Mjolnirs', or Thor's Hamme..